Dual purpose umbrella – white translucent with a removable black/silver cover. 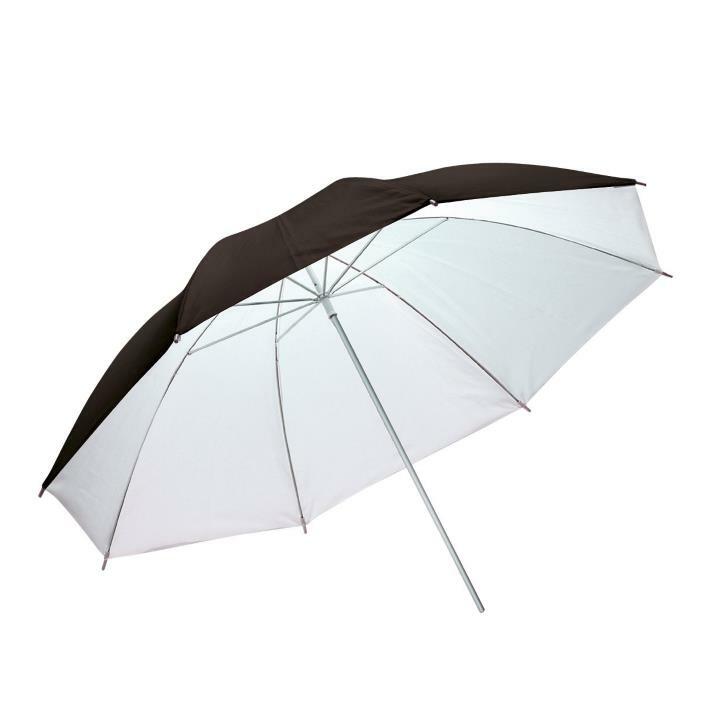 Can be used as a shoot-through umbrella without the cover or bounce umbrella with or without the cover. 84cm diameter.